Op 16 september mocht ik Laure Eve kort interviewen. 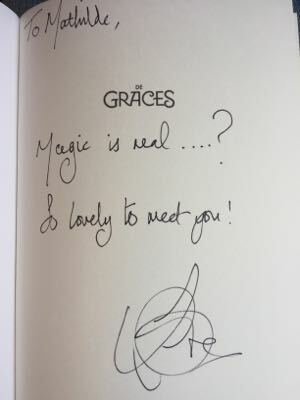 Ze was een paar dagen in Nederland voor de promotie van haar boek “De Graces”. 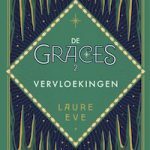 k heb deze week “De Graces” gelezen. Is dit je eerste boek? Nee, het is mijn derde boek, maar dit is wel het eerste boek dat vertaald is. Mijn eerste twee boeken zijn alleen in Groot-Brittannië gepubliceerd. In the world of Fearsome dreamer, England has become Angle Tar – a technophobic and fiercely independent country holding its own against the mass of other nations that is World. Rue is an apprenticed hedgewitch in rural Angle Tar, but she knows she is destined for greater things. After being whisked off to the city by the enigmatic Frith, Rue becomes the student of White, a young Worlder with a Talent that is much in demand: White is no ordinary Dreamer – but then neither is Rue. Both can physically ‘jump’ to different places when they dream – and both have more power than they know. Rue and White find themselves electrically attracted to each other – but who is the mysterious silver-eyed boy stalking Rue’s dreams? And why is he so interested in her relationship with White? Is Rue about to discover just how devastatingly real dreams can be…? A shocking new world. A dangerous choice. Two futures preparing to collide . . . Having left her soulmate White behind her in Angle Tar, Rue is trying to make sense of her new and unfamiliar life in World. Its technologically advanced culture is as baffling as is it thrilling to her, and Rue quickly realises World’s fascination with technology can have intoxicating and deadly consequences. She is also desperately lonely. And so is White. Somehow, their longing for each other is crossing into their dreams – dreams that begin to take increasingly strange turns as they appear to give Rue echoes of the future. Then the dreams reveal the advent of something truly monstrous, and with it the realisation that Rue and White will be instrumental in bringing about the most incredible and devastating change in both World and Angle Tar. But in a world where Life is a virtual reality, where friends can become enemies overnight and where dreams, the future and the past are somehow merging together, their greatest challenge of all may be just to survive. Waarom heb je een boek geschreven over heksen? Ik heb heksen altijd interessant gevonden. Ik ben opgegroeid in Cornwall. De natuur is hier erg aanwezig. Het is een landschap waarbij je het gevoel hebt dat magie bestaat. In Cornwall kom je overal winkeltjes tegen waar je bijvoorbeeld kristallen kan kopen. Je merkt dat er aandacht voor hekserij is. Ik vind hekserij interessant omdat iedereen heks kan worden. Het is geen kracht die aangeboren is. Voor mij als tiener was dat erg interessant. Met hekserij heb je invloed op je leven. En dit boek gaat vooral over het krijgen van controle over je leven. 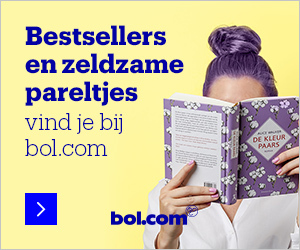 Is er iemand uit je boek die je in het echt zou willen ontmoeten? Ik denk dat ik Wolf wil ontmoeten. In “De Graces” gaat het vooral om River. Ik wil meer over Wolf weten, want hij is een interessant personage. Maar Summer is waarschijnlijk het leukst om te ontmoeten. Haar verhaal staat centraal in het vervolg op “De Graces”. Zij is mijn favoriete personage. Ze is moedig, eerlijk en soms wat bot. Ze is waarschijnlijk het meest normaal. Het begin van het boek deed mij aan “Twilight” denken en ik dacht” oh, weer een wat naïef meisje dat op een nieuwe school begint en daar een droomjongen ziet lopen.” Gelukkig veranderde het verhaal. Heb je dit bewust gedaan? Zo’n begin van het verhaal komt vaker voor in Young Adult-boeken: een meisje in een nieuwe omgeving die verliefd wordt op de populairste jongen. Hier heb ik bewust voor gekozen, met de bedoeling om daarna het verhaal helemaal om te draaien. En lezers op het verkeerde been te zetten. Ik las “Elidor” van Alan Garner. Dit is een serie fantasyboeken voor kinderen. Het verhaal speelt deels af in een andere wereld, een wereld met magie. Het doet een beetje denken aan Narnia. Ik vind Alan Garner een geweldige schrijver. Wat hij schrijft voelt echt aan. Het is een duister verhaal en realistisch. Best spannend. Een andere duistere fantasyserie die ik heb gelezen is “Whitby Witches” van Robin Jarvis. Er komt veel dood en verderf voor in zijn boeken. Wat hij schrijft voelt echt. Ik vond het heerlijk om dit soort duistere fantasyverhalen te lezen. Since the deaths of their parents, eight-year-old Ben and his older sister, Jennet, have been asked to leave one foster home after another. Now kindly Alice Boston, an old family friend, has invited them to live with her in the picturesque seaside town of Whitby. The two children hope their move will be permanent – if this time they can keep Ben’s strange powers secret. Unbeknownst to the children, Aunt Alice has a few secrets of her own. So does Whitby. Shortly after Ben and Jennet arrive in Whitby, it becomes clear that an evil force from the town’s past is on the rise again. Suddenly, Alice’s friends are mysteriously dying. A young woman dressed in white haunts Whitby’s crumbling abbey. And a centuries old beast disturbs Jennet’s dreams. The fate of the world is about to be decided and the secretive aufwaders are the key to its survival. As the evil spreads, Ben steals away on furtive errands that take him to the town graveyard and the dark caves along Whitby’s rocky shore. What he finds there might save Whitby from the most powerful evil. 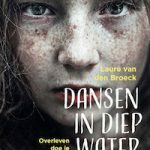 Lees je boeken van andere young adult schrijvers? Ja. Ik heb er niet veel tijd voor, want ik heb een voltijd baan en ik schrijf in de avonden. Maar ik lees nu “A city dreaming” van Daniel Polanski, een fantasy voor volwassenen. M is an ageless drifter with a sharp tongue, few scruples, and the ability to bend reality to his will, ever so slightly. He’s come back to New York City after a long absence, and though he’d much rather spend his days drinking artisanal beer in his favorite local bar, his old friends—and his enemies—have other plans for him. One night M might find himself squaring off against the pirates who cruise the Gowanus Canal; another night sees him at a fashionable uptown charity auction where the waitstaff are all zombies. A subway ride through the inner circles of hell? In M’s world, that’s practically a pleasant diversion. Before too long, M realizes he’s landed in the middle of a power struggle between Celise, the elegant White Queen of Manhattan, and Abilene, Brooklyn’s hip, free-spirited Red Queen, a rivalry that threatens to make New York go the way of Atlantis. To stop it, M will have to call in every favor, waste every charm, and blow every spell he’s ever acquired—he might even have to get out of bed before noon. Enter a world of Wall Street wolves, slumming scenesters, desperate artists, drug-induced divinities, pocket steampunk universes, and demonic coffee shops. M’s New York, the infinite nexus of the universe, really is a city that never sleeps—but is always dreaming. Welcome to Caraval, where nothing is quite what it seems. Scarlett has never left the tiny isle of Trisda, pining from afar for the wonder of Caraval, a once-a-year week-long performance where the audience participates in the show. Caraval is Magic. Mystery. Adventure. And for Scarlett and her beloved sister Tella it represents freedom and an escape from their ruthless, abusive father. When the sisters’ long-awaited invitations to Caraval finally arrive, it seems their dreams have come true. But no sooner have they arrived than Tella vanishes, kidnapped by the show’s mastermind organiser, Legend. Scarlett has been told that everything that happens during Caraval is only an elaborate performance. But nonetheless she quickly becomes enmeshed in a dangerous game of love, magic and heartbreak. And real or not, she must find Tella before the game is over, and her sister disappears forever. After pulling off a seemingly impossible heist in the notorious Ice Court, criminal prodigy Kaz Brekker feels unstoppable. But life is about to take a dangerous turn – and with friends who are among the deadliest outcasts in Ketterdam city, Kaz is going to need more than luck to survive in this unforgiving underworld. Helaas was toen de tijd alweer voorbij. Er was gelukkig nog wel even tijd voor een handtekening en voor een foto. Dank je, Laure, voor het erg gezellige interview. 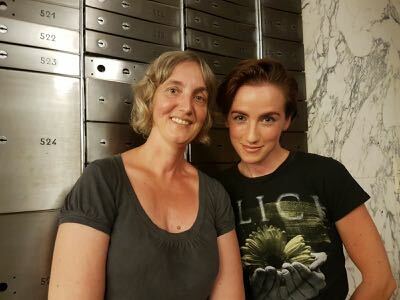 En dank je wel, Sandra (van De gouden zebra) voor het regelen van het interview.